It’s spring – time to make a brand new den! But where should Little Fox and Daddy Fox build it? In a tree like squirrel? In the flowers like the butterflies? In the river like the fishes? 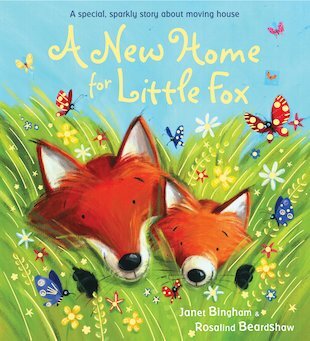 Or will Little Fox and Daddy Fox find another type of den – something that’s exactly right for them? This fresh and colourful springtime story about how different types of animals live is ideal for sharing together, and has a sparkly surprise at the end. Janet Bingham is the author of My Little Star, A New Home for Little Fox and Goodnight, Magic Moon. She lives in Cambridgeshire.